Trapped by accidental deletion of your photos? Don’t panic! 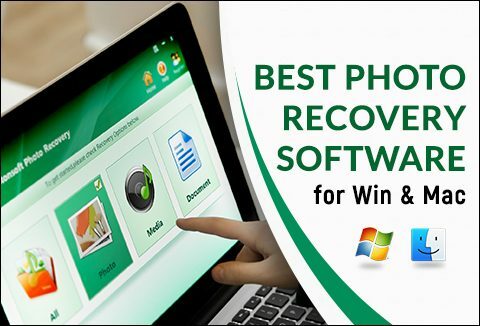 Let Photo Recovery Tool help you. It is a reliable and safe photo recovery solution which can recover deleted or formatted photos with no loss to visual quality. Photos, videos and audio files hold memories close to your heart. Their loss is irrecoverable. But this reliable Photo Recovery tool can do the trick for you. "Thank you guys! Yesterday I lost 5 important photos from my iPhone. After trying the other popular software which was bit slow, this one was surprisingly fast which only took a few seconds. Good!" "Recovered photos from a corrupt card! Bang for your buck! I tried a couple of other "free" tools but they barely recognized my memory card! Loved the fact that I actually get to preview the pictures before buying. Thrilled to have my photos back!" "When I deleted the wrong image during the Photoshop.Windows said I must reformat the card but I declined and run this fabulous little program. Got ALL, but the last picture back! So thank you,thank you!" DealClub member? Grab this incredible tool worth $30 absolutely FREE!